So much of our Norma Kamali edit includes the cult 'Marissa' swimsuit - it's so popular that we had to stock it in several colors. 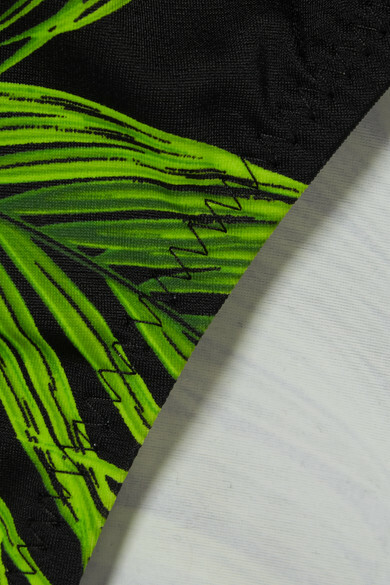 Printed with vibrant palm leaves that really pop against the black background, this high-leg one-piece has a low, scooped back and sides. Wear it on the beach during your next tropical getaway. Wear it with: FRAME Shorts, Manebí Espadrilles, Chloé Sunglasses, Kenneth Jay Lane Earrings.